Craig Reisser, a parent via egg donation and surrogacy in the USA, shares some advice for intended parents who are looking for guidance on how to start their surrogacy journeys. When my partner and I decided that we were ready to become parents through egg donation and surrogacy in the USA we didn’t really know where to start. We found ourselves somewhat overwhelmed with information and choice. We needed some tools to help us filter through the alternatives so that we could focus on those options which were right for our own plans. With the benefit of our own experience, and through consulting intended parents nearly every day, I have developed a set of eight simple questions that I ask every intended parent to consider from the outset. While focussed on surrogacy and egg donation in the USA, with some minor tweaks these questions apply to any country. questions will have an impact on others. However, once all the questions are answered, I find that it can be easier for intended parents to filter through all the alternatives and make the necessary decisions for organizing their surrogacy journeys. 1. By when do you ideally want to be a parent? 18 months is a good benchmark for the duration of a US surrogacy journey. This timing starts from the date that you sign-up with a surrogacy agency and get in the queue to be matched with a surrogate. Half of this time is the pregnancy. The other half is comprised of waiting time to be matched with a surrogate and the legal and medical processes before an embryo transfer. 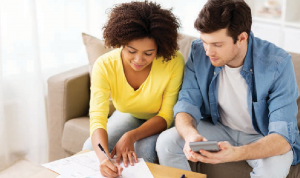 An 18-month timeframe assumes that you’re successful on the first embryo transfer and there are no delays. If a second embryo transfer is required to be successful then this can add between 2-4 months to the timetable. It is easier for the timing to stretch- out say to 20-24 months than to be shortened. So you really need to work backwards in time from when you ideally want to be a parent. This will tell you by when you need to have signed- up with a surrogacy agency. If your answer is that you want to be a parent within the next two years, then the time to start making decisions and signing-up with a surrogacy agency is now. 2. 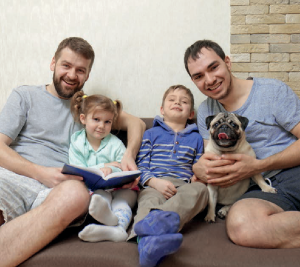 What does my ideal family look like? It’s easy to be focused on simply getting started. Having sight of your overall ideal family plan is essential for helping you plan timing and budget, as well as making key decisions when it comes to the IVF portion of your process and choice of egg donor if you need one for your journey. retrievals or selection of egg donor. This may also play a role in deciding whether to pursue a single or a dual embryo transfer, which has several knock-on implications. For some, the question of who is to provide sperm and egg may be straightforward, say in the case of a single individual or a heterosexual couple. a donor who is suitable for a “split” donation becomes relevant to minimize the risk of needing more than one egg donation procedure. 3. Do you care where in the USA your surrogate lives and gives birth? 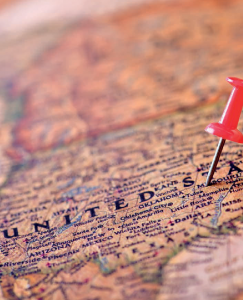 Where in the USA your surrogate lives and gives birth is important for a few reasons: the legal process needs to work for you; it can impact your budget, and it’s where you will travel most during your journey. There are currently 45 US states where compensated surrogacy is legal, so there are many places in the USA where you can potentially be matched with a surrogate. Some US states are more expensive for surrogacy than others. Differing levels of surrogate compensation; the general level of costs for items you will be paying for in your journey; and the availability of insurance all contribute to this. many people travel to visit their surrogate at least one or two other times during the pregnancy. Bear in mind that where your surrogate lives may have no relation to where your surrogacy agency, IVF clinic or egg donor if you have one, are located. 4. What are your priorities when it comes to your surrogate? While there is a waiting period to be matched with a surrogate in the USA, the right surrogate is out there for every intended parent. Your surrogacy agency will match you with a surrogate who is right for you, but this requires you to determine your own priorities. Apart from where your surrogate lives, you’ll want to consider whether you: envision an ongoing relationship with your surrogate after your journey; need to work with an unmarried surrogate given your own legal requirements, say for the future nationality of your child; have a preference for working with a surrogate who has already been a surrogate and been through this process; intend to try for a dual embryo transfer; or would like to work with a surrogate who may be able to work with you again for a sibling journey. These considerations, in addition to your overall personality fit and your views on key aspects that may arise during the pregnancy, will play a big role in your matching with a surrogate. 5. What are your priorities when it comes to your donor if you need one? For those that need a donor, there can often be concern about being able to find one. In reality, in the USA there is no shortage of donors and no waiting time. One expert in US egg donation has estimated that at any given time there may be some 30,000 women participating in egg donation programs in the USA, and there is certainly no shortage of sperm banks if needed. Finding an egg donor in the USA, in particular, is, therefore, more a matter of being clear on your filters and looking in the right place. Unless you have a friend or family member who will be your donor, then you can find a donor either in a clinic’s in-house program or in a non-clinic egg donor agency. clinic’s in-house program, therefore knowing that she has been medically approved by your IVF physician; want to have an open donation rather than an anonymous one; or want a donor who has donated previously so that you may have a higher chance of success, particularly if considering a split donation. 6. What are your priorities when it comes to your surrogacy agency and IVF clinic? parent. Many agencies and clinics work frequently with each other and selecting ones with ongoing relationships can have benefits. In the USA, however, you can choose to work with any combination of surrogacy agency and clinic that is right for you. Setting some parameters will help you determine where to focus your discussions. For surrogacy agencies key criteria may have different levels of importance for you: matching time, cost and service level, years of experience, surrogate screening process and criteria, in- house legal expertise, which states surrogates are recruited from, whether matching for dual embryo transfers is permitted, approach to insurance and overall relationship feel. Among IVF clinics, key priorities for you may include success rates, in-house egg donor program; experience with surrogacy and egg donation, experience with genetic screening including PGS and PGD, medical screening of surrogates and egg donors, cost and service level, location, and overall relationship feel. Every surrogacy journey has a unique budget. The many choices which you will make to organize and undertake your journey will determine your exact budget, and you will not know the total and final cost until it’s completed. Knowing your available financial resources for your surrogacy journey is essential, as it will influence all of the choices you need to make. Your budget also needs to contain a buffer to ensure you have the flexibility to deal with potential additional costs. Because there is an element of financial risk, you will want to understand your tolerance level. to know which elements of your total potential costs may not be covered. 8. What nationality(ies) do you intend for your child to have and where will you live? surrogacy agency and US lawyers will help ensure that you are the legal parents under US law. The rules are different for every country, and in some cases knowing what you need at the back-end of your surrogacy journey to secure these items may influence some of your choices at the start of your process and your US legal proceedings. It’s important to remember that in the end this is your child’s story which you are organizing, and at some point, you will be sharing with him or her the story of how he or she came to be. It’s easy to lose sight of this fact when you are in the middle of all the many decisions that need to be made to organize your surrogacy journey. With surrogacy in the USA and advance planning, it is possible to organize your journey in a way which is right for you and that you will want to ultimately tell it to your child.